Why operate a business, live or work in Glen Innes? Every year more people are discovering the advantages of living and running a business in Glen Innes and the Severn Shire, the heart of New England. 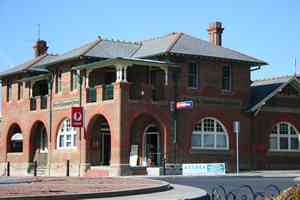 Glen Innes is located at the intersection of the New England and Gwydir Highways, which offer the best routes between Sydney and Brisbane and between the inland and the north coast of NSW. It is a rich fattening and breeding area for fine wool, prime lambs and cattle. Until recently, the district produced more than half of the world's supply of sapphires including the famous Reddestone blues; however increasing production overseas and falling prices have reduced the local production considerably. Fossicking for sapphires and other minerals remains a popular pastime for locals and thousands of visitors alike. Summer is pleasant with warm days and mild nights. Autumn brings a wide variety of deciduous trees to their full glory. Winter is bracing with occasional snowfalls. Spring brings the area to life with blossom, new leaves, wildflowers, baby lambs, calves and foals. It is an ideal time for bushwalking in our beautiful National Parks. What appeals to many is that they live in a beautiful and active area where there is always something interesting to do. It's like being on holiday 12 months of the year, where it's easy to get out and participate in a wide variety of sports, to go fishing or gem fossicking or simply enjoy the quiet lifestyle. Within the town and villages there are numerous sporting facilities for cricket, basketball, squash, swimming and the various football codes. 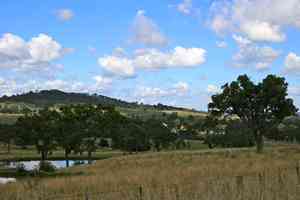 Glen Innes boasts a fine golf course, which is deservedly popular with locals and visitors alike, and a racecourse which is regarded as one of the best in northern NSW. There are 9 hole golf courses at Emmaville and Deepwater,(where they hold an annual Picnic Race and the ladies come out in their finery). Trout fishing is popular in the cold waters of many highland streams while anglers regularly visit the nearby water storage of Copeton and Pindari dams. Cycling is another sport for which the area is well known and large crowds turn out every year to view the Grafton to Inverell Classic which passes through town. 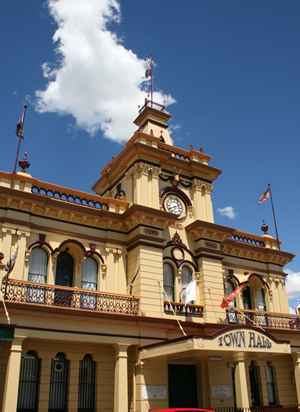 It has often been claimed that Glen Innes has a club or society for almost every imaginable activity. With interesting fellowships such as the Garden club, Historical Society, bridge club and New Mothers group for example, many friendships are formed. There is no doubt that local residents always seem to find others who want to join with them to enjoy their particular sport or interest.